The Wilmington Grill Stainless Steel Meat Press is made from a thick gauge 304 Stainless Steel and is designed to last a lifetime. 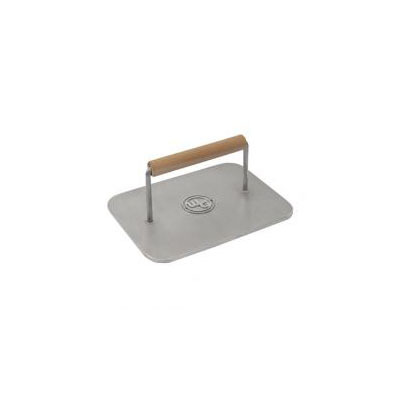 The Meat Press comes with a wooden handle for safe handling and is ideal for pressing fat and grease from meats. Works great with the Griddle Kits.